Kampala, Uganda | THE INDEPENDENT | There is a ramp spiral of 30-meter that helps drivers to access the car park that is located in Amsterdam. RAI Amsterdam’s car park is the best in the whole world when it comes to car parks. There are some other notable car parks such as the Pompidou-inspired parking area that is found in Copenhagen and the Belgian hospital car park whose façade is perforated. RAI car park was designed by Dutch studio Benthem Crouwel Architects and up to 1000 cars can be parked here. It has seven floors where the cars are parked. This is the main parking area in RAI Convention Centre because it is found between Amsterdam business areas together with the cities motorways that are always busy. The car park is connected to the main roads that are used for entering and exiting which are helix-shaped with access ramps. The two separate ramps were designed to help in easing the heavy traffic that is always found in the surroundings. In order to attract more people to the 30-meter-tall structure, lightings were places strategically especially on the curving edges which makes it outstanding. One of the architects confirms that the helix-shaped towers are visible from a far distance such as the ring road A10 especially when the blue LED are working at night. On the southern side of the building sits the ramps that are constructed in areas that are pre-fabricated with concrete. Another thing is that the towers cause an interruption to the car parking at all the eight floors. Although the building is referred to as a car park, the first floor serves as a hall for exhibitions and conventions. The remaining floors are used to park the car and up to 1000 cars fits there. The architects say that upon closing the doors of the first floor, it can be used for other purposes. This car park is the Benthem Crouwel’s third commission throughout Amsterdam. Having been founded in 1893, it represents the personnel from the vehicle industry. During its founding, it was known as to be a society for the bicycle manufacturers. When it comes to Africa, most of the modern parking lots are found in Addis Ababa which is the capital city of Ethiopia. Here, there are parking facilities that can accommodate up to 1000 cars. One of the modern facility parking facility uses the electronic lift to and place the car in the section that can accommodate 90 cars. The parking lot is called the Smart Megenagna Parking. The steel structure where the cars are placed is made of steel. This is an improvement because only 9 cars could be parked in such a space before the technology was introduced. 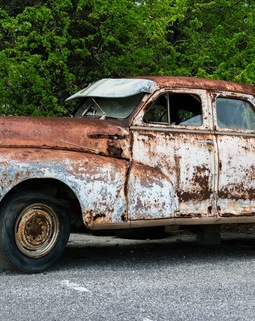 Would the government encourage the purchase of old cars in Uganda?